Remember when the Sabbath Prayer is sung in Fiddler on the Roof? Or when Nightcrawler whispers the Lord’s Prayer in X2: X-Men United? Or maybe when it’s prayed over the phone in United 93. Prayer is a powerful part of the human experience and will often show up in big screen storytelling. Some for laughs, some for inspiration, and others for provoking thought. 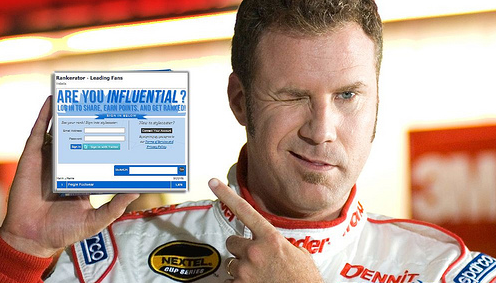 Congratulations Talladega Nights: The Ballad of Ricky Bobby. This is your week. Best Actress: Nicole Kidman in Days of Thunder. 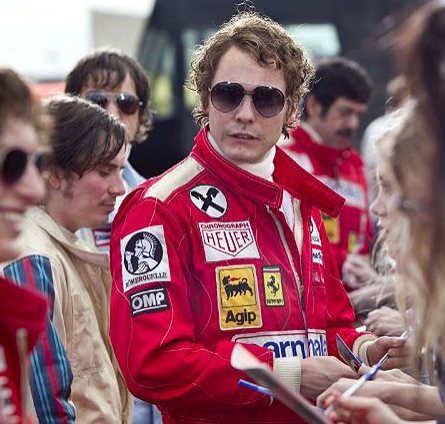 Best Actor: Daniel Brühl as Niki Lauda in Rush. Best Quote: “The closer you are to death, the more alive you feel. It’s a wonderful way to live. It’s the only way to drive.” — Chris Hemsworth as James Hunt in Rush. Racing is one sport we haven’t covered with movie nominees. Whether or not you’re a fan, which movie would you say should be our movie of the week? Where to sit. Obviously you sit wherever the heck you want, but when the theatre is fairly empty, try not to choose the seats directly in front of the only other people in the room. That’s a heel move brother! Is this seat saved? No, but it is born again. No but seriously… Saving a seat for more than two people is unforgivable. I refuse to do it. If your group is more than three, take turns in groups of two going to the potty or buying snacks. Commercials. Actually, this isn’t a thing, but I want it to be: When the pre-show is over, they dim the lights, and they play the message that tells you to turn off your phone and enjoy the movie, I say we boo and hiss when the commercials start. Loudly! The preshow is the place for the commercials. If after thhat they had one for the distributor (e.g. Cineplex, Cinemark, Regal, etc.) and maybe one other I think we’d be ok. But over the Christmas break I sat through a distributor ad, three car ads, and four banking ads (This is no exaggeration. I did count. ), and they had to gall to tell me to turn my phone off before showing them. Commercials on a giant screen is just plain obnoxious. So from now on, will you join me in booing? The armrest arm wrestle. This is more of what not to do. Do not take command of both armrests with authority. I guarantee that people on either side of you will notice of this and deem it douchiness. Guaranteed. Generally it’s good to put yo ur elbow one end of the armrest and leave the other end to your neighbour. Go high or go low. If the other person doesn’t use it after 20 minutes, feel free to take more of it. But it’s also best not to plant your elbow there and leave it in that same place for the entire movie. Every once in awhile, take a different stance. Otherwise you look like a kid who never gives up the front seat and keeps saying, “I called it.” It’s just annoying. ‘Scuse me, pardon me. When someone needs to get up and leave, they have to walk in front of people, which is no fun. Make it easy for them by simply putting your knees together and shifting your legs to one side. Spreading your knees far apart never works. NEVER. And standing up doesn’t help either. Sure, your knees aren’t sticking out anymore, but having one person standing is bad enough. Plus, it’s just weird when you’re trying to sneak out in a dark theatre and someone’s face is suddenly up and close to yours. Creepy. We’re not hear to here you. If you have a comment about the movie, save it for when the credits role. If you must, then lean in and whisper to your friend. If you’ve figured something out that you think will happen in the story, keep it to yourself. No one wants to be impressed by your sleuthy-ness. 3D glasses. No don’t take them. Yes they’re cheap, but by taking them, so are you. Streaming. You’re not downloading anything, so streaming is fine. You’re not breaking any laws. Generally, I’d say that if it’s in the theatre, don’t stream yet. It’ll be someone in a theatre with a video camera, so the quality will be right up there with dollar store barbie dolls. And if you can watch it on Netflix or Amazon Prime, do that before finding some free streaming site. But if you wouldn’t be able to watch it either way, then just stream. Downloading. Honestly, I feel that even though this is illegal, it is less like stealing a DVD and more like ripping the tag off of your mattress. 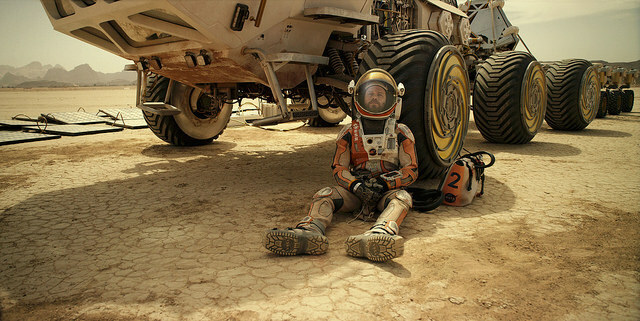 Yes, technically it is against the law, but the movie industry is not hurting for it. 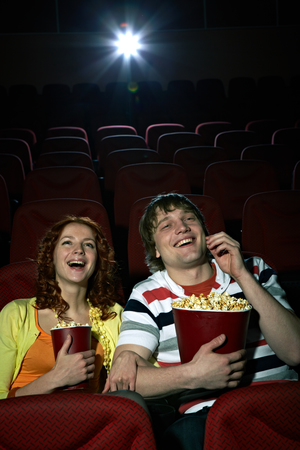 People spend more on movies now than ever before. The real issue is that you’re actually just wasting your time and your megabytes. Streaming it is much simpler. And if you love a movie enough to own it, buying it is far more satisfying. Opinions. If someone says they liked a movie but you didn’t, avoid saying things like, “It was terrible,” or “What an awful movie.” And when they say what they liked, don’t scrunch up your face and shake your head. Remember, it’s your opinion. They are sharing something with you that means enough to them to bring it up, so don’t crap on it. Listen to what they say, accept it, and feel free to share what you didn’t like. Simple. Spoilers. If you tell someone about a movie they haven’t seen and you feel the urge to tell them about “this one part,” don’t do it. “But it won’t ruin anything for you…” Yes it will. Don’t do it. And if you say, “The story is about….”, then be sure to follow that up with the most vague description you can possibly give. At home. If you’re watching with someone in a living room and you need to pause the movie, wait for a scene to end first. And again, keep your thoughts to yourself until you see the fade to black and the credits start rolling. 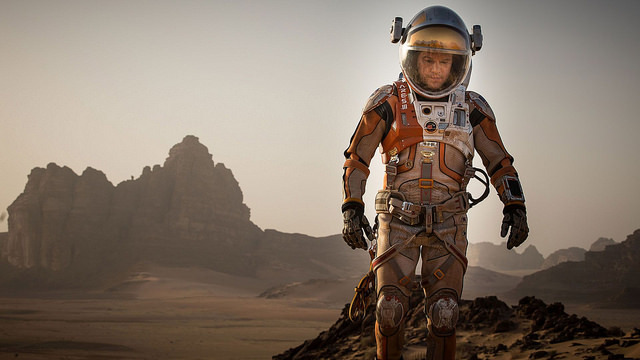 Congratulations The Martian (A movie I streamed.). This is your week. Best Actress: Melissa Mc-Freaking-Carthy! She is so funny in Spy, though I have to give credit to both Miranda Hart and Rose Byrne who were equally as funny in that movie. Best Actor: Simon Pegg in Ghost Protocol. Minor role, but sooo good. Jeremy Renner is another close second. Best Quote: “Nothing kills me. I’m immune to 179 different types of poison. I know because I ingested them all at once when I was deep undercover in an underground poison-ingesting crime ring.” — Jason Statham as Rick Ford in Spy. One last thing. And this is very important for the movie-watchers code. If you start a conversation with someone about movies and they say something to the effect of “I don’t have time for movies,” then you must slap them. For the love of Judas Priest slap that sanctimonious stewed prune into next week! Soon my wife and my eldest child (my baby girl… sniff!) will be on their way to Budapest, Hungary. Usually I’m the one to join Joy on these trips but this is Leah’s graduation year, and I’m so happy for both of them. 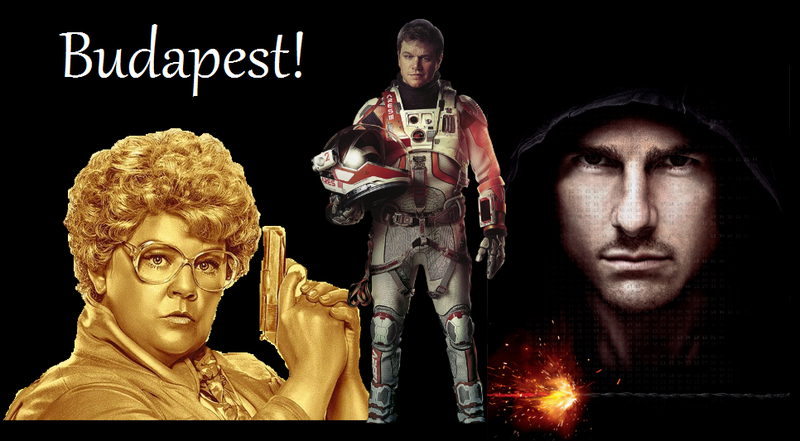 The following nominated movies were all shot on location in Budapest. Which one would you choose to be Movie of the Week? This compiled list is just what the title suggests. It is not a promotion of any one of the religions (including my own), nor is it a “aren’t we all just the same” statement. Here is, to the best as I can figure it, the good news according to… well, most of us. JUDAISM — Good news everyone. There is a God who is supreme and awesome. He spoke to us all through his prophets (Abraham, Jacob, Moses, Elijah, Isaiah, et al.) and following his revealed will, death will not defeat you. A messiah is coming to free us, and therefore we can live on forever in paradise. ISLAM — Good news everyone. There is a God who is supreme and awesome. He spoke to us all through his prophets (Abraham, Ishmael, Moses, Jesus, Mohammed, et al.) and following his revealed will, death will not defeat you. You can live on forever in paradise. CHRISTIAN — Good news everyone. There is a God who loves you and sacrificed himself so that you can have a wonderful life (inside and outside) here on earth. And death will not defeat you. You will can forever in paradise. BUDDHISM, HINDUISM — Good news everyone. There is a path you can follow through your life, a path of good and perfect goals outlined by the gods/spirits, where all things material don’t matter. Humankind can live in peace and harmony with each other, as well as with all living things. And death won’t defeat you. If you follow the path and achieve the proper goals, you live on. SIKHISM — Good news everyone. There is one true God and you can spend time with him through meditation, striving for social justice, living an honest life, and seeking unity of all mankind. And don’t worry… no one religion has a monopoly on absolute truth. ATHEISM, AGNOSTICISM (not really a religion, I know, but not to leave anyone out) — Good news everyone. You don’t have believe any ideas made up by religion in order to be happy and/or die happy/fulfilled. You have the power to love and get along with people and to live a good life on your own. Believing in a god will not change that. SHINTOISM — Good news everyone. You are a good person. That’s the way you are, and you can connect with goodness, the way of the gods, and a rich past through prayer, meditation, and ritual. Plus, these practices will keep evil at bay. Death will not defeat you. You will become a family spirit, and you might even get enshrined! I recognize that I may have done a hack job on some of the above, but for me this is simply a practice in understanding, which is one of my most valued virtues. Though I believe what I believe, and though I’d love it if we were all in this same family of faith, I will not simply disparage and mock other religions as a way to legitimize my own. I also admit that I probably left out some big ones (like Taoism), but frankly I was getting tired. So much religion, so little time. 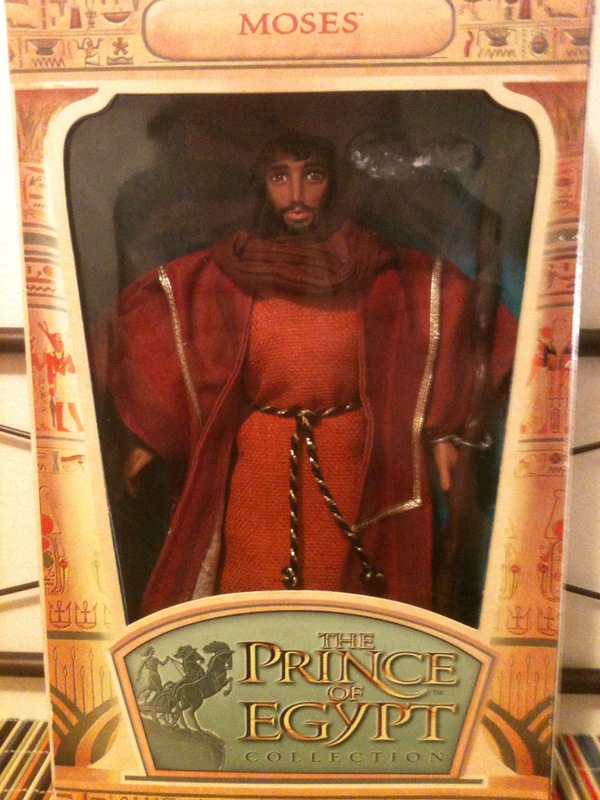 Congratulations The Prince of Egypt. This is your week. Best Actress: Helen Mirren as the Queen in The Prince of Egypt. Looks like she gets quite a bit of practice in playing that kind of role. 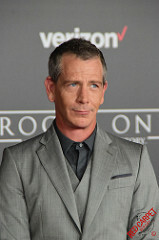 Best Actor: Ben Mendelsohn as Viceroy Hegep in Exodus: Gods and Kings. I haven’t seen this movie, but I’m a big fan of this actor. I agree with my sister about the Red Sea scene in The Prince of Egypt. 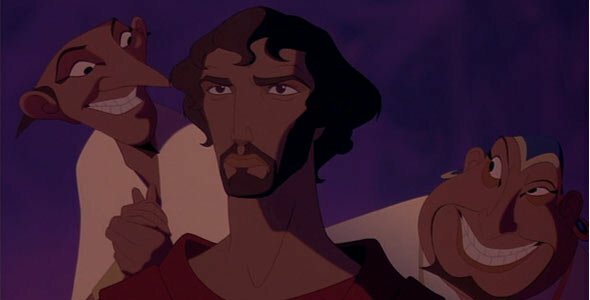 I remember as a kid being in awe of the effects in the 1956 version, but 1998 was one of the few times I watched a biblical movie and felt emotionally moved by the cinematic presentation of a scene. 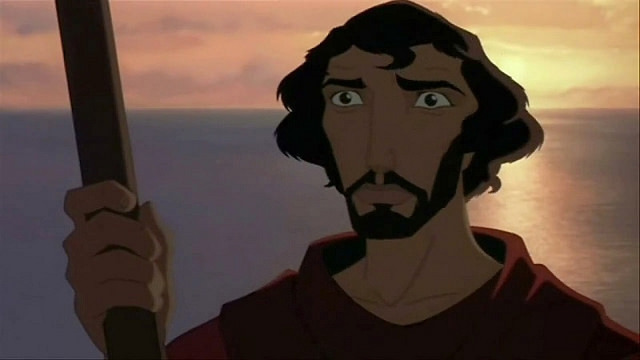 That was my experience with the animated parting of the sea. Pretty amazing. 10. It’s a Mad, Mad, Mad, Mad World (1963) — Actually, I really didn’t like this movie. It’s a comedy and yet I didn’t find hardly anything to laugh at during the 3.5 hour gaping yawn. However, it must be mentioned here seeing as it has perhaps the most impressive ensemble of actors in cinema: Spencer Tracy, Milton Berle, Sid Caesar, Buddy Hackett, Ethel Merman, Mickey Rooney, Phil Silvers, Jonathan Winters, and a few other notable names. 9. The Departed (2006) — Leonardo DiCaprio, Matt Damon, Jack Nicholson, Mark Wahlberg, Martin Sheen, Vera Farmiga, Alec Baldwin. This movie started a new trend of crime movies set in Boston. Lots of violence and f-bombs, but it sure is a great flick. Best picture winner, too. 8. 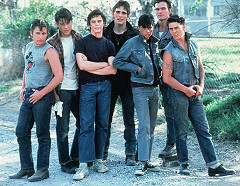 The Outsiders (1983) — This movie’s cast was a virtual who’s who of an wall posters on teenage girl’s bedroom walls in the 1980’s. Matt Dillon, Ralph Macchio, Patrick Swayze, Diane Lane, Rob Lowe, Emilio Estevez, and Tom Cruise. 7. Boogie Nights (1997) — First of all, this movie has Luis Guzmán. Oh yes you do know who that is. You’ve seen him in many movies. Don’t believe me? Click on his name. Then there’s Mark Wahlberg, John C. Reilly, Burt Reynolds, Julianne Moore, Don Cheadle, Heather Graham, and William H. Macy. 6. How the West Was Won (1962) — I’ll bet you haven’t seen this one. I haven’t either. 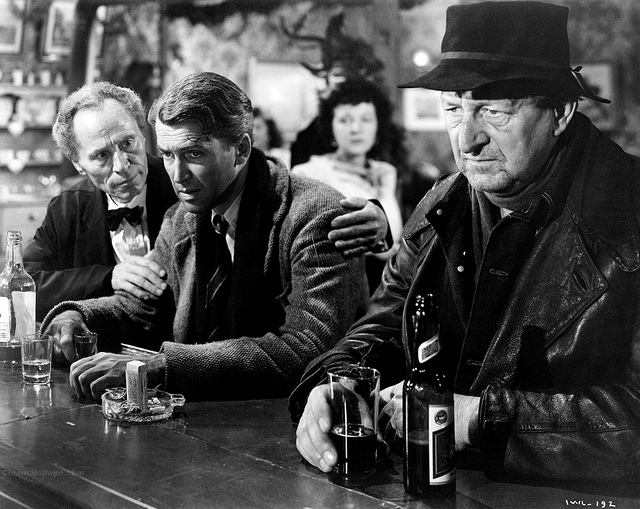 But I was quite impressed with its sizeable cast of Hollywood heavyweights: Henry Fonda, Gregory Peck, James Stewart, George Peppard (Hannibal on TV’s The A-Team), Eli Wallach (“the Ugly” in The Good the Bad and the Ugly), Debbie Reynolds, and John Wayne. 5. JFK (1991) — It’s a long movie, but unlike Mad Mad World, it keeps your attention and accomplishes what it sets out to do. Much of the credit for that goes to Oliver Stone and his brilliant cast of Kevin Costner, Kevin Bacon, Ed Asner, Jack Lemmon, Sissy Spacek, Gary Oldman, Joe Pesci, Walter Matthau, Tommy Lee Jones, and John Candy. Yes, you read that right. John freaking Candy! 4. The Thin Red Line (1998) — Deep breath… Nick Nolte, Sean Penn, Jim Caviezel, John Cusack, Adrien Brody, John C. Reilly, Woody Harrelson, Jared Leto, George Clooney, and John Travolta. Wow, I can’t believe I haven’t watched this movie! 3. The Avengers (2012) — This movie’s impressive list of superheroes was matched with an equally impressive cast list: Robert Downey, Jr., Chris Evans, Scarlett Johansson, Mark Ruffalo, Chris Hemsworth, Jeremy Renner, Tom Hiddleston, Cobie Smulders, Gwyneth Paltrow, Stellan Skarsgård, and Samuel L. Jackson. 2. Pulp Fiction (1992) — I’m not sure there is any other large ensemble movie that is more critically acclaimed than this one. And each performance is so memorable: Uma Thurman, John Travolta, Samuel L. Jackson, Bruce Willis, Tim Roth, Eric Stoltz, Steve Buscemi, Harvey Keitel, Christopher Walken, and even Quentin Tarantino himself. 1. Ocean’s 11 (2001) — This one is one of my very favourite ensemble movies, and it reminded me a lot of Sneakers (1992). The plot and the detailed, intricate plan that the characters execute makes this (like Sneakers) one of the most fun movies to watch. And the cast is a collection of some of the best 2001 had to offer: Julia Roberts, George Clooney, Matt Damon, Brad Pitt, Bernie Mack, and Casey Affleck. Congratulations Sneakers. This is your week. 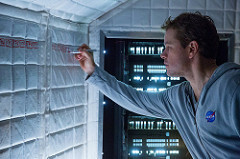 Best Actress: Sandra Bullock in The Net. This, by far, is not her best movie (nor best performance for that matter), but she’s simply one of the best actresses in Hollywood today. This week we tip our hat to her. Best Actor: Benedict Cumberbatch in The Imitation Game. This is a wonderful biopic and Cumberbatch shows why he’s one of the most sought after actors in cinema today. Best Quote: “I loved it when you nuked Las Vegas. 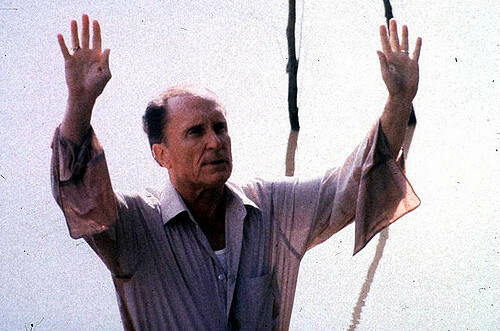 Suitably biblical ending to the place, don’t you think?” — John Wood as Falken in War Games. If Shakespeare was right that the world is a stage and we are all actors, then I think the most fitting name for this play (or movie) has already been taken. It’s a mad, mad, mad, mad world.